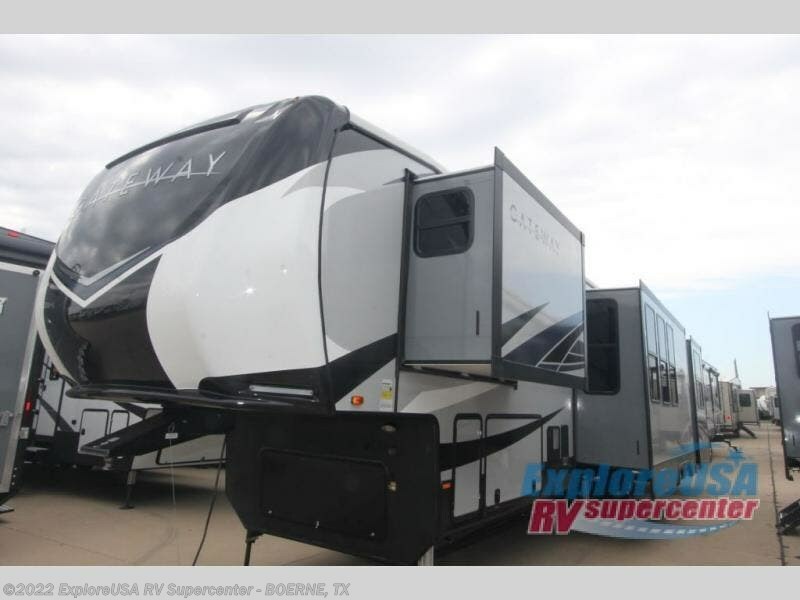 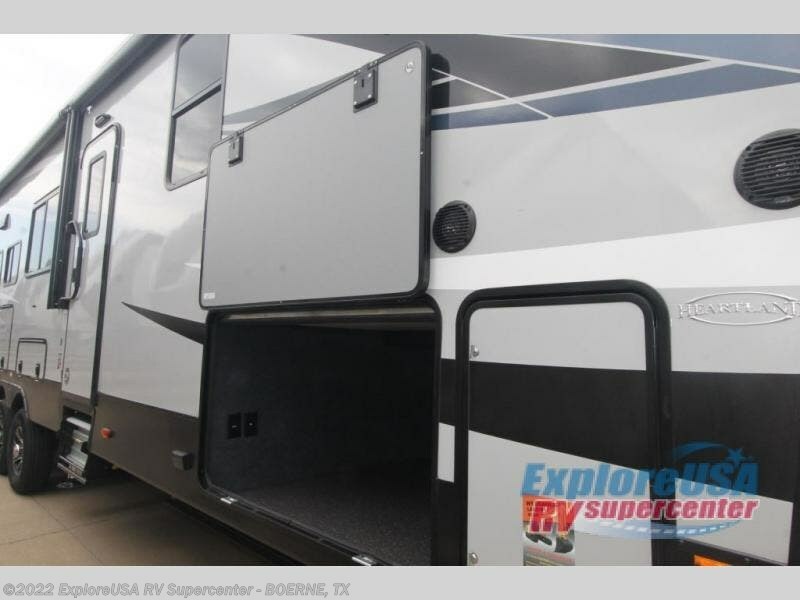 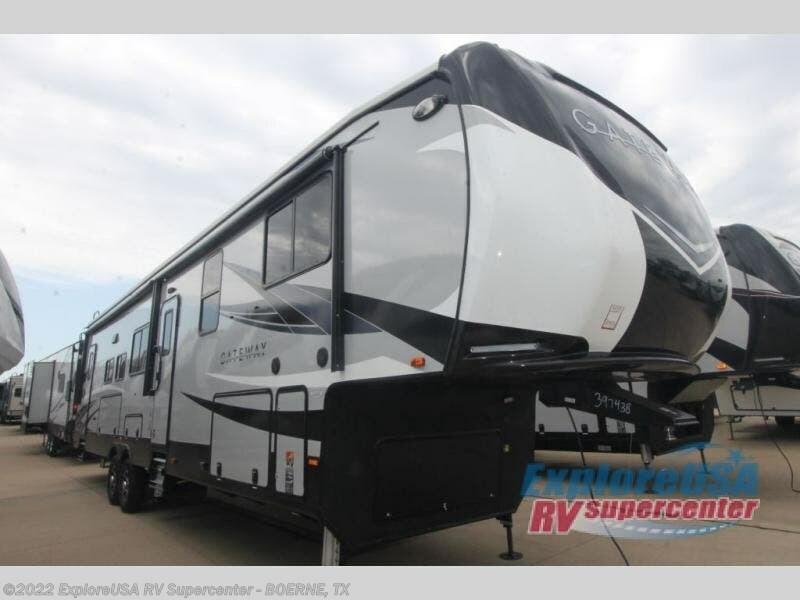 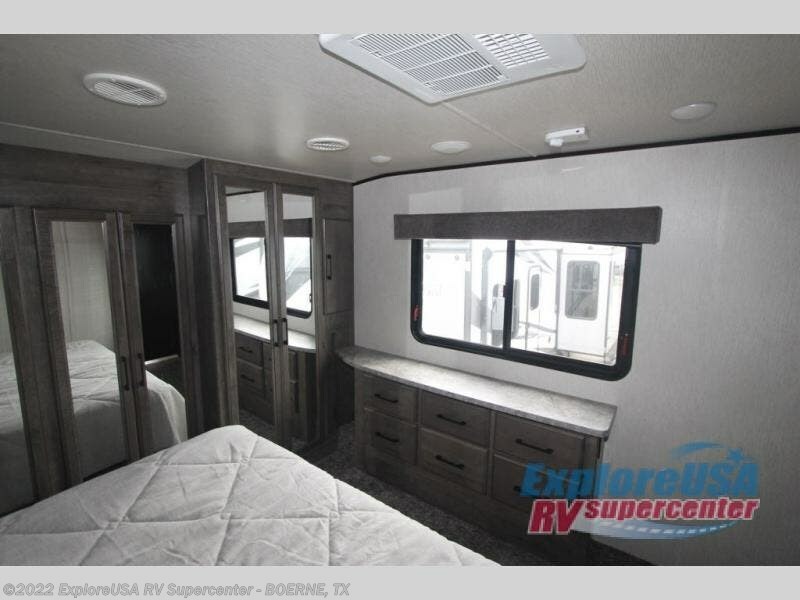 Your family will just love going for an extended stay vacation in this luxurious triple slide out Gateway 3810 RLB fifth wheel. 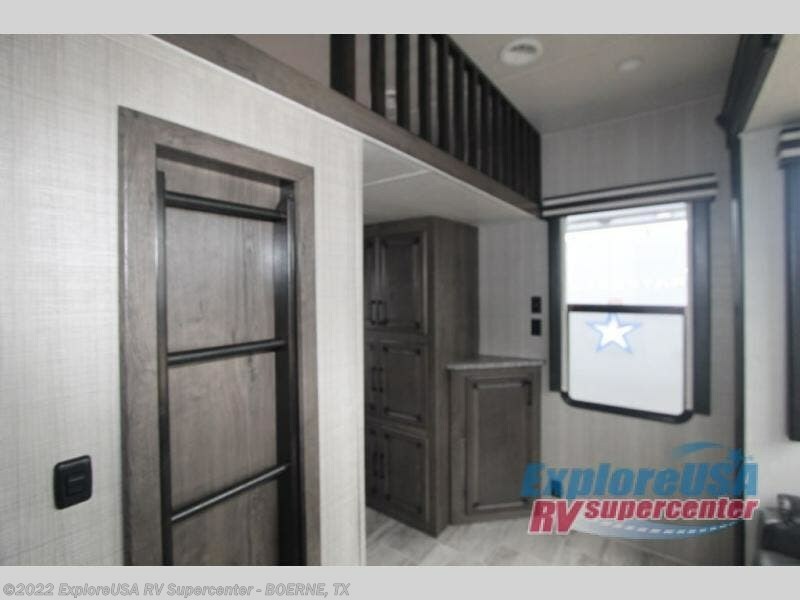 Your kids may disappear into the bunkhouse to play because they will have their own sofa, half bath, and a loft. 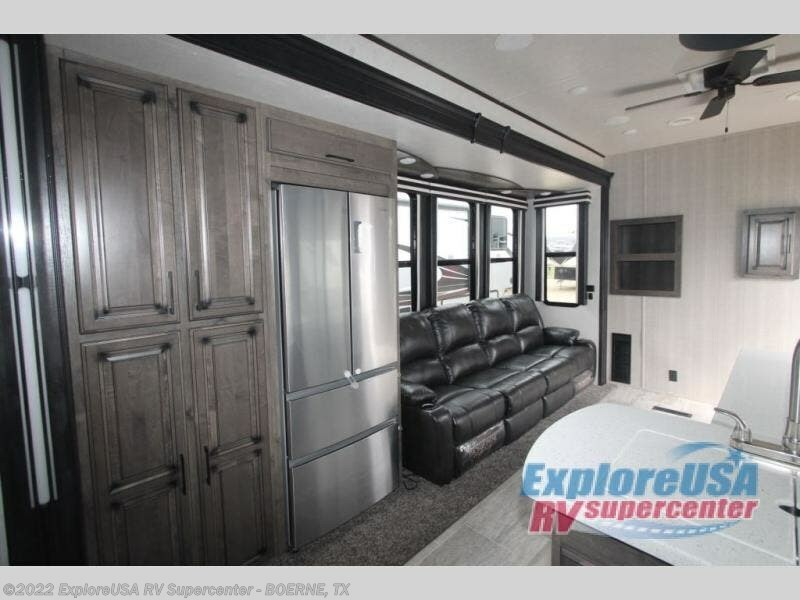 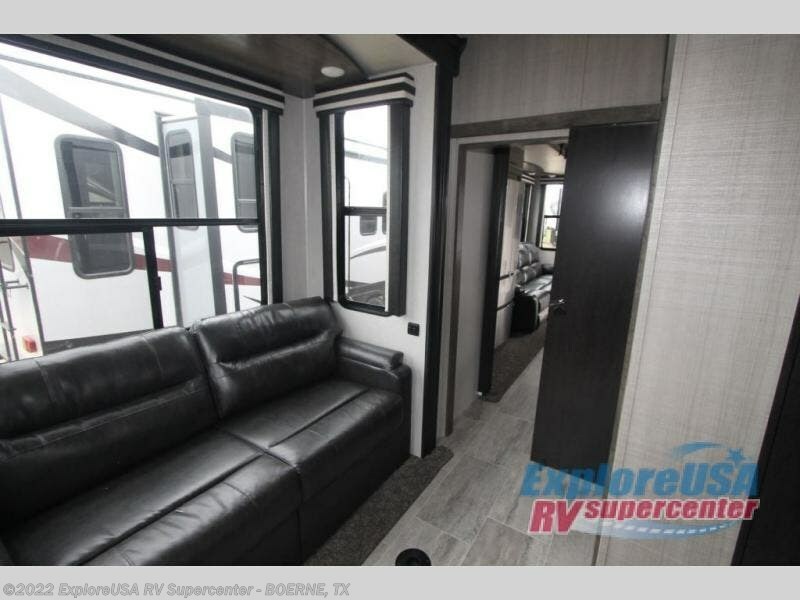 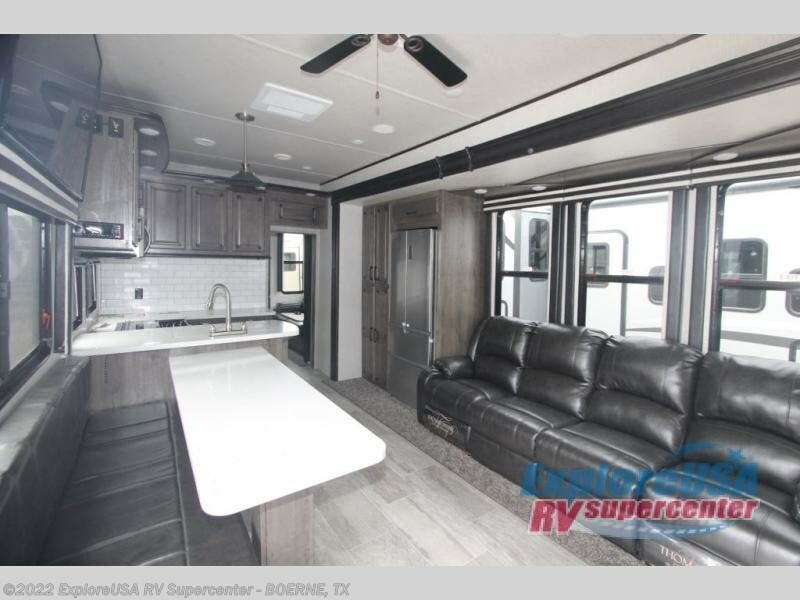 The central living area features plenty of room to visit with your family and friends since there is a large sofa, and dinette with a bench seat. 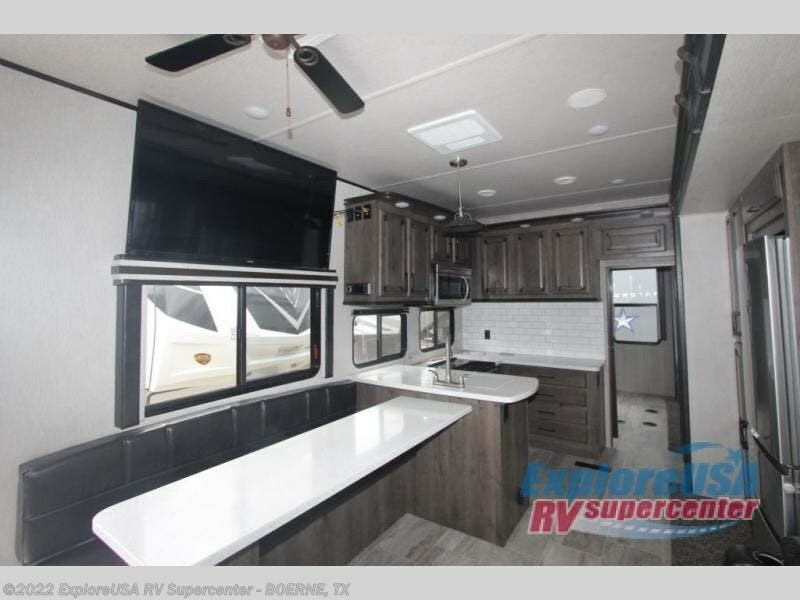 When the weather is nice you will want to move outdoors and visit under the power awning plus there is an outside kitchen where you can store drinks or snacks! 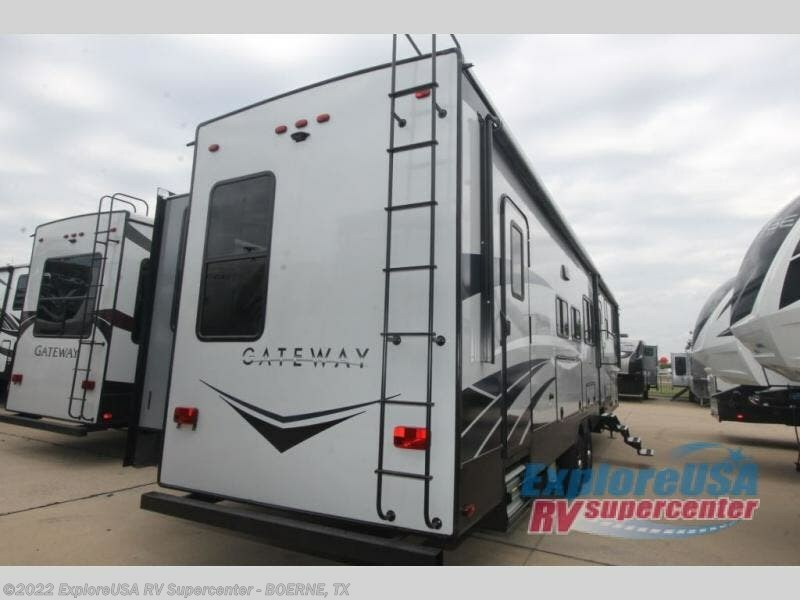 When you are ready for a relaxing time away from home then come choose a Gateway luxury fifth wheel! 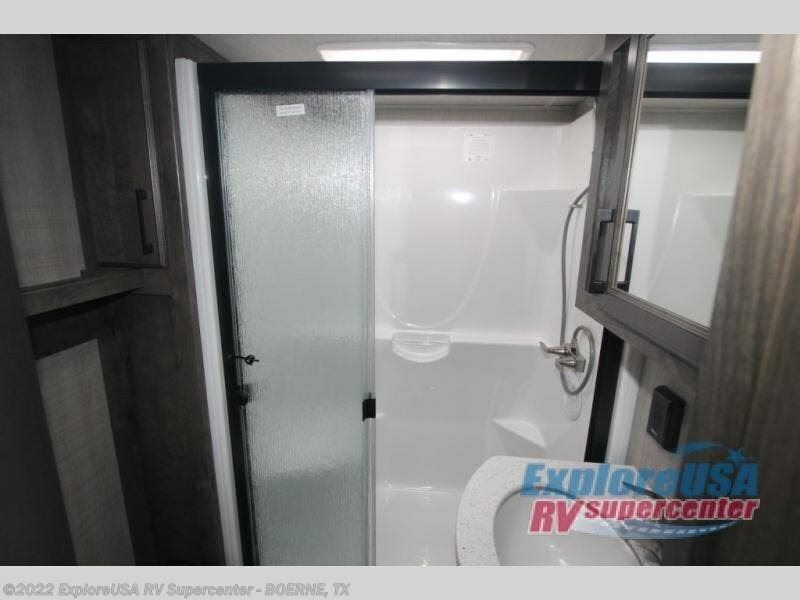 The Gateway Package includes high gloss sidewalls, an outside shower, a convenient electric awning, plus you will enjoy the added privacy with the tinted safety glass windows. 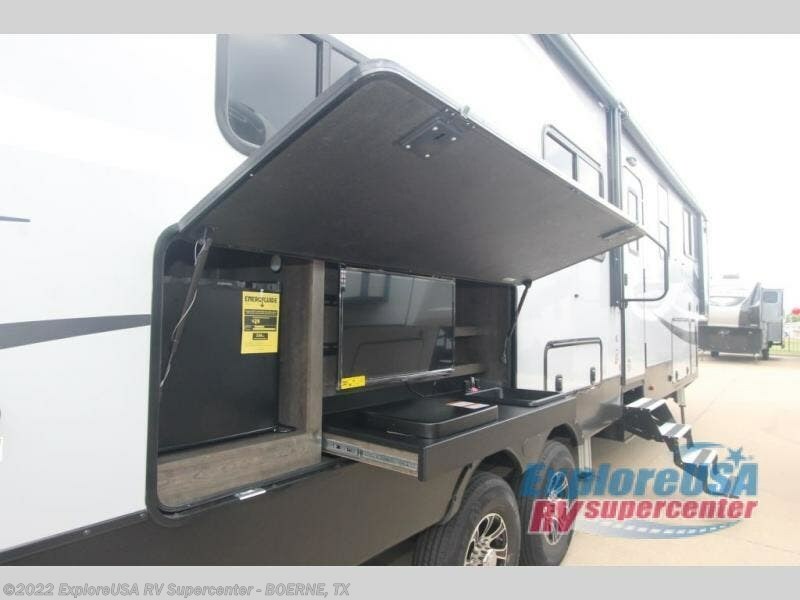 The Dexter axle with Mor/Ryde suspension provides a smooth ride plus the weatherguard insulation package allows you to camp in all types of outdoor conditions. 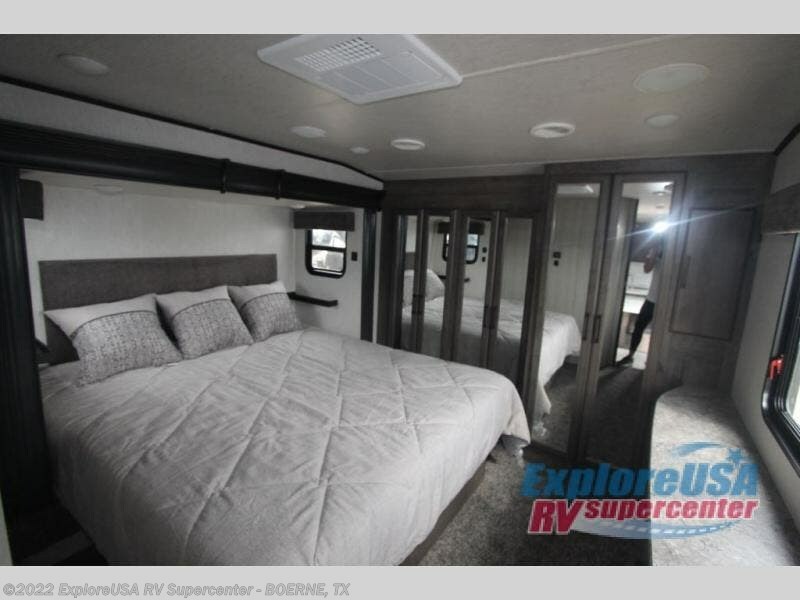 With the Residential Package you will enjoy features such as an oversize shower with glass door, solid surface counter top in the main bathroom, plus a queen pillow top memory foam mattress with under bed storage, and a walk-in wardrobe. 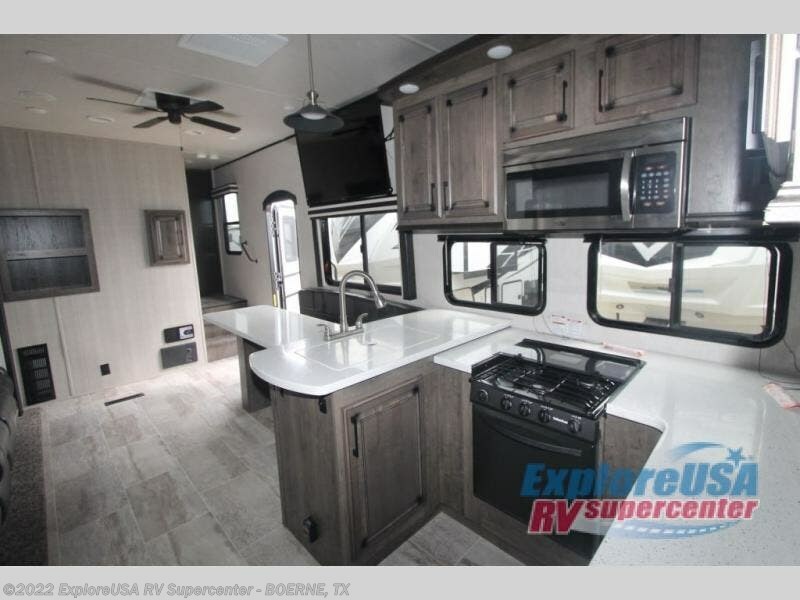 The Gateway to Comfort Package includes upgraded top stitch furniture, solid surface countertops, English Maple cabinets, residential flooring, a large HDTV, plus so much more! 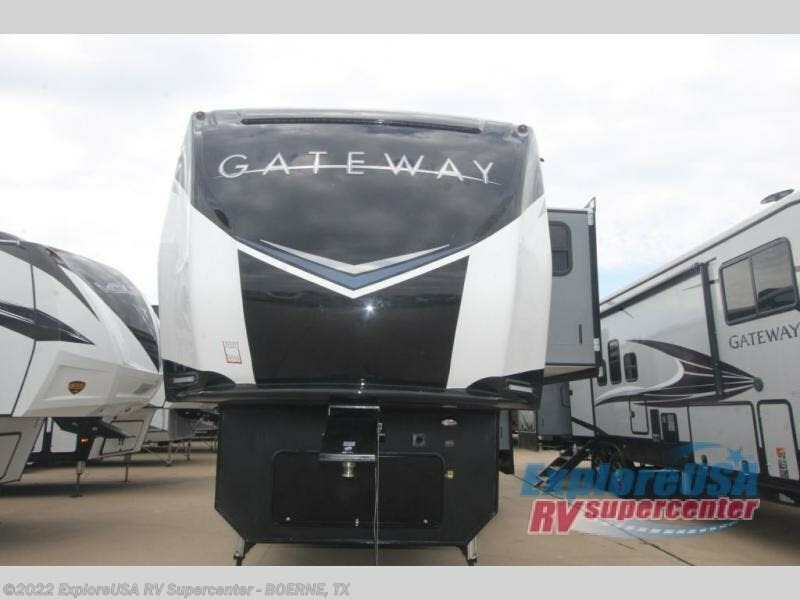 Check out Stock # M2368 - 2019 Heartland Gateway 3810 RLB on heartlandrvsource.com!